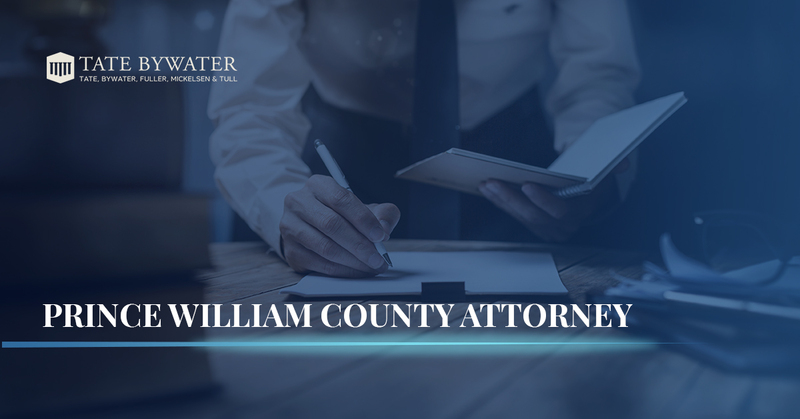 TATE BYWATER Law Firm is a team of Prince William County Attorneys that puts the needs of their clients above all else. Since our founding in 1972, we’ve worked daily to become a Prince William County law firm that is worthy of consideration, irrespective of the practice area of the situation in question. Whether you are facing being accused of a crime and all that comes with that difficult scenario or you seek a real estate attorney who is communicative and knowledgeable, we are worth your consideration at TATE BYWATER. As we mentioned above, we are a Prince William County law firm that was founded in 1972. Though our single-office beginnings were as humble as they were earnest, the growth that we’ve experienced over the past 40+ years hasn’t led to us losing sight of our founding principles — namely our dedication providing our clients with an outstanding, informed experience while delivering positive results at the same time. Today, we are a multi-office law firm that serves folks in need of expert legal services hailing from Virginia, Maryland, and the greater metropolitan Washington D.C. area. Our attorneys are willing to assist you in courts throughout Fairfax and Prince William County. Hours: Monday – Friday, 8:30 am – 5:30 pm. Saturdays by appointment. As Stephen so graciously expressed, we work endlessly to achieve a positive result for our clients. With a special emphasis on involving our clients as much or as little as they prefer, we will tailor our legal services to your wishes. If you still convincing of the merits of TATE BYWATER, perhaps our peer-to-peer recognition will help in the persuasion process. We have been recognized as Peer Review Rated by Martindale Hubbell® and all five partners are recognized as AV® Preeminent™ by Martindale-Hubbell® in addition to having multiple lawyers on staff who have been recognized by The National Trial Lawyers Top 100 Trial Lawyers and Super Lawyers. In sum, when you have a team of Prince William County Attorneys who have been recognized by their clients and peers alike, it’s a good sign that this is a law firm worthy of representing you. Schedule your free consultation with us today!